“The completion and moving-up from Kindergarten are milestones worth celebrating”. PVBM bubbled with excitement and enthusiasm when it celebrated its UKG Graduation Party on Wednesday, March 20, 2019. Dazzling Graduation Frame great as a photo booth decoration was a treat bag and a fun touch at a Kindergarten graduation party! 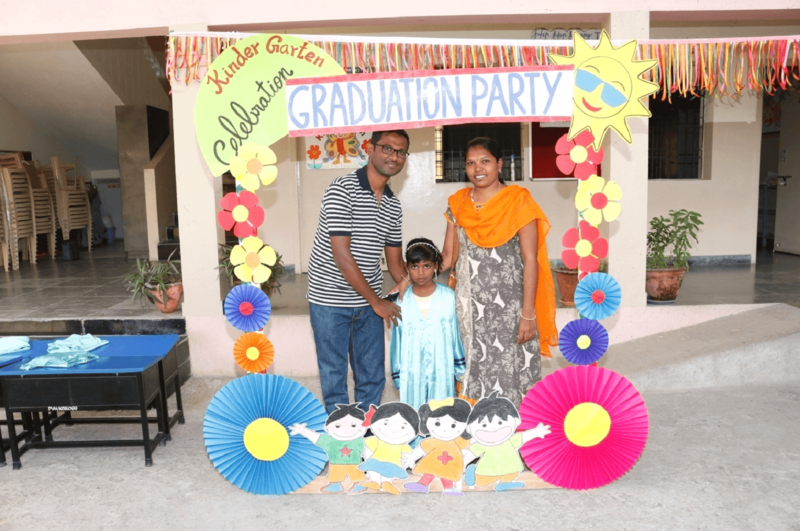 Kids dressed up in graduation costume and along with their parents captured the memorable moments. Followed by the cherishable meet with the class teacher and delicious refreshment, the Graduation Certificates were collected by our UKG students, who are ready to step out of the threshold to take on the challenges of formal school beginning at Class I. Also, a unique and handwritten card comprising a special message and appreciation was given to each and every UKG kid by their class teacher. It was a touching moment for the parents as well as the teachers. Followed by the meeting kids had great time by grooming themselves with funny wigs and costumes and by playing games like Feed the Rooster, find the path, collect the bands and build the tower. UKG blooming buds also had a platform to have fun and learn a small handicraft and marble art. 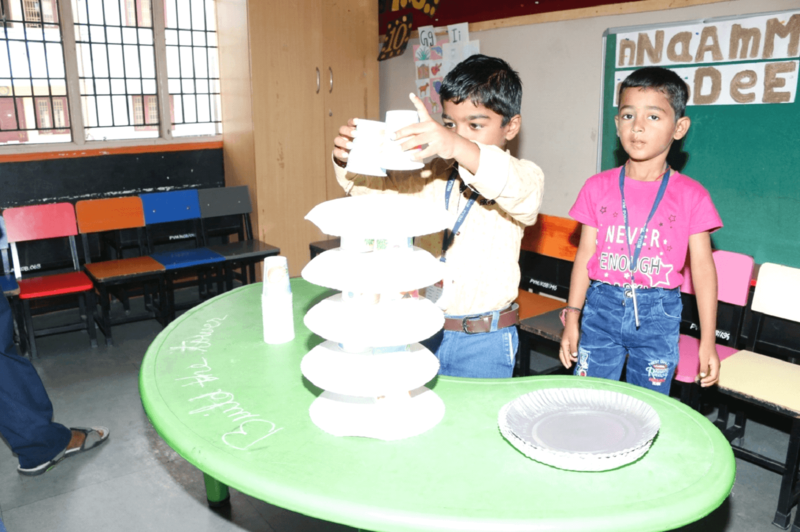 They cherished a lot and carried home sweet memories along with their wonderful marble art and tiny craft.